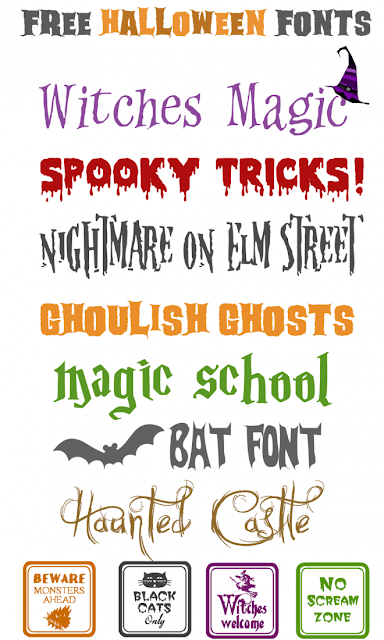 Courtney loves fonts as much as I do and she has a great round up of fun free Halloween fonts over on her site. My favorite are the Halloween signs over on dafont.com! There are 12 designs and they would be great for fun Halloween party tags!